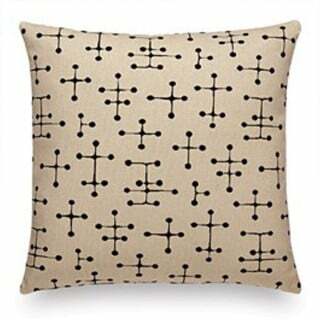 Buy Vitra Classic Pillows Maharam - Geometri Black/White by Verner Panton, 1947-1973 - The biggest stock in Europe of Design furniture! Many of the great 20th century architects and designers have dabbled in textile design, working through their ideas on colour, shape and material. New York textile company Maharam has reissued some of the most important designs as high-end furnishing fabrics using true-to-the original colours and weaving techniques. 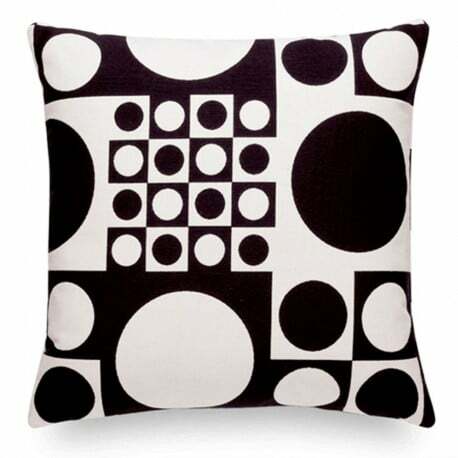 "Textiles of the 20th Century" sofa and seat cushions ideally complement the furniture of Charles & Ray Eames, George Nelson and Verner Panton, as well as adding an interesting touch to contemporary of classical interiors. Collection Vitra Design Museum.